All over the city today I am seeing tank tops, patios at capacity, flip-flops, Daisy Dukes. The rush to embrace summer is irresistible. We are in love. 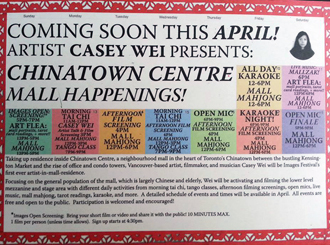 Casey Wei presents Chinatown Center Mall Happenings! How often have I walk down Spadina, past the Chinatown Center, and barely registered it is there? Thanks to Casey Wei I have now visited this mall, twice. The mall is packed with glittering things but short on shoppers. There is a drowsy atmosphere. Could be the weather is to blame. Like the larger, newer Pacific Mall in Markham, Chinatown Center ostensibly caters to ethnic Chinese who want the feel and products of a Hong Kong shopping center. Casey Wei set up shop on the ground floor where occasional passers by gaze down from the upper galleries. There are a handful of artists around and a few members of the local community. As an art piece it is shapeless, open ended and slowed down, stretching out to nine days. It feels good: relaxed, friendly, natural. There is playful banter. 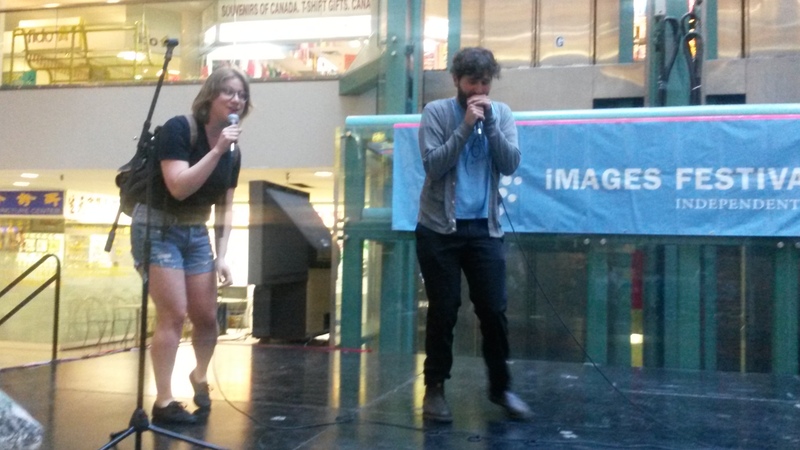 The Karaoke is at times quite accomplished. (I was almost ready to sing “You’re So Vain” but backed out.) 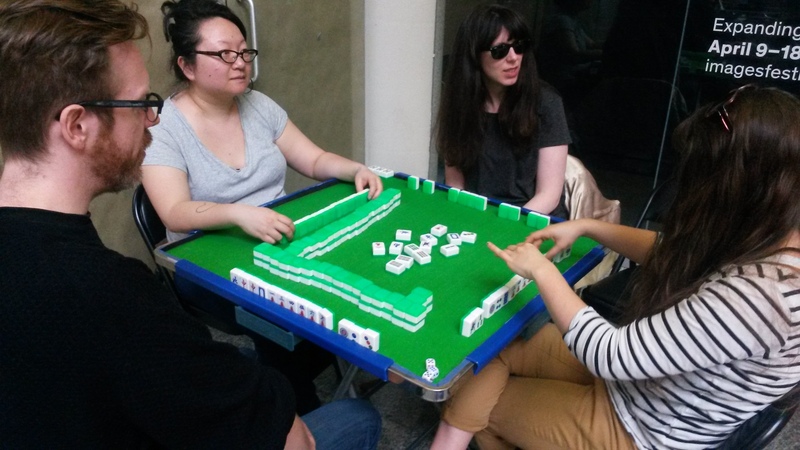 The mahjong tiles clatter in the corner. The shop owners don’t seem to have much expectation of customers. 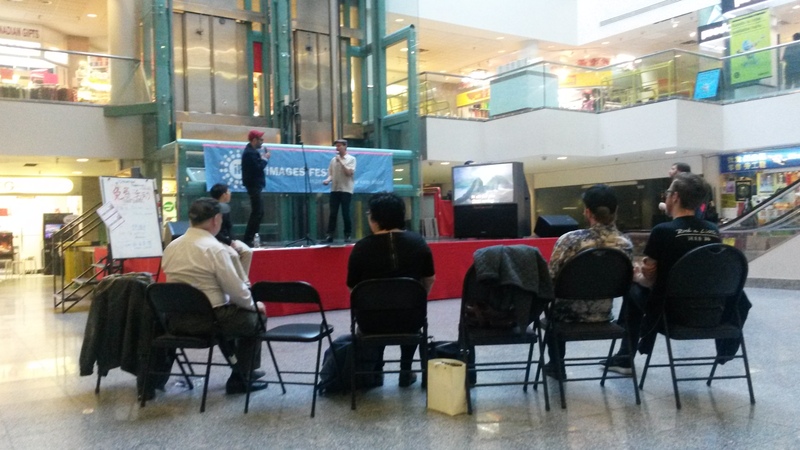 Snapshots of Casey Wei presents: Chinatown Center Mall Happenings! Here is not so much a place to shop as a place to catch a mood. 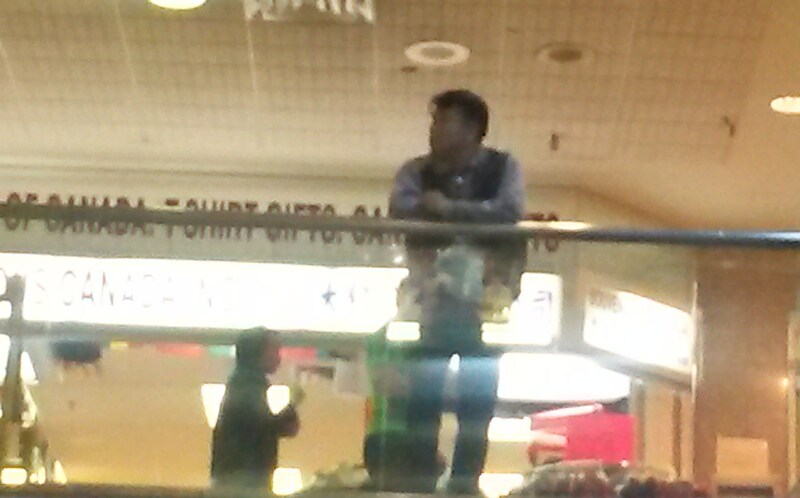 At least I don’t think anyone goes to Chinatown Center to buy a smartphone, or a pair of jeans. 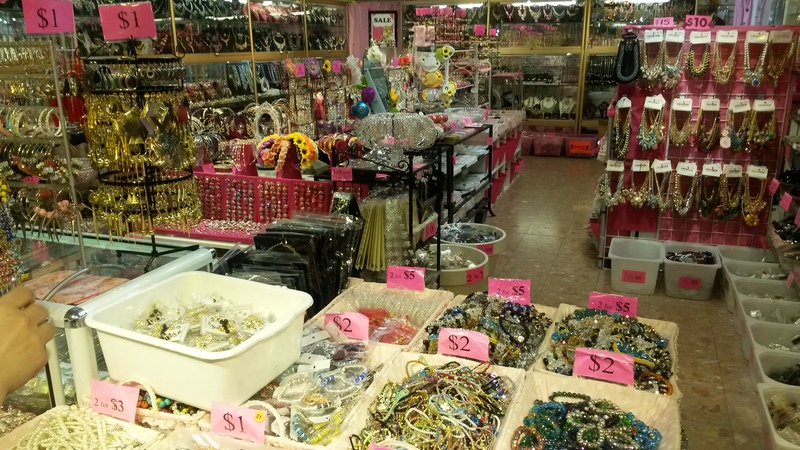 My sense of the virtually deserted Chinatown Center is that it is a sentimental destination, one that evokes a life left behind on the other side of the world. Casey Wei, a young woman with an Asian face and name, but whose bio suggests she grew up in this country, may be trying to plumb that sentimentality towards greater self understanding. I’m thinking about a friend whose parents are Chinese and who was born and raised in Scarborough. He got into Eastern philosophy, not through his parents, but via Western culture at a particular moment. Later he and his wife adopted a Chinese baby. They raised their daughter in the USA and then they all went on an extended trip to China to try to understand, well, themselves. Hey! 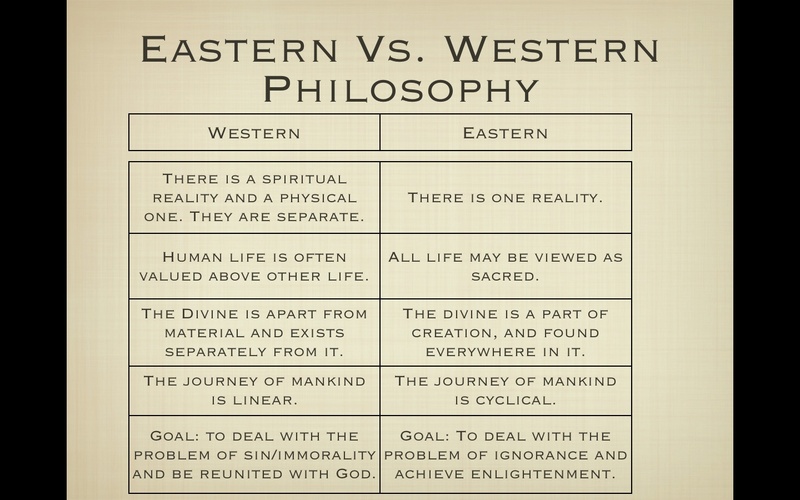 That chart makes Eastern philosophy sound better! Ha ha — well yes, but you may want to look into it a little deeper….